Take home the gold with the entire Gilded Collection. 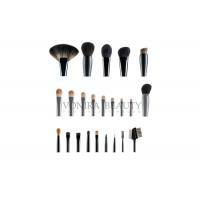 The 23 piece set includes everything needed to create a full face makeup look. This complete set covers it all--correct and set, blend and shade, or highlight and contour.Perfect for any budding makeup artist or seasoned professional. 1. Always Flawless Makeup Looks - Even and precise eye lining, shadowing, contouring, and glossing. 2. 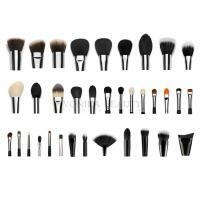 The Complete Cosmetics Set - 23 brushes to deliver natural and professional results for all occasions. 3. Premium Craftsmanship - Toxic-free glue prevents shedding and holds the bristles in place. 5. 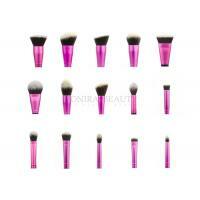 Delicate Brushes, Unharmed Skin - Soft fiber makes it easy to distribute makeup without hurting the skin. 6. 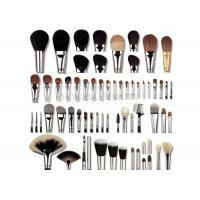 Free one-year warranty on high-end makeup brushes. 7. Private logo can be put on handle and packaging. 8. Different materials and colors for optional. 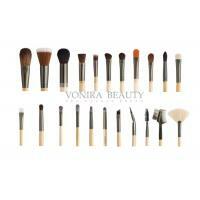 Vonira Beauty is a global leader in make-up brush manufacturing. 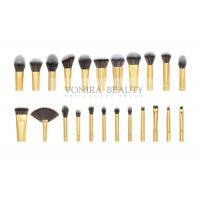 We offer a complete range of cosmetic brushes that are custom designed to meet varying application needs. Our design includes a unique selection of hair, ferrules and handles. All of our brushes are crafted to provide flawless coverage. Specialized brushes include eco-friendly options, poly-chromatic and brush sets.We Supply Private Label OEM/ODM Special Services For Your Own Brand Name On Cosmetic Brushes.We have had thousands of existing cosmetic makeup brushes, if you are interested in any of our existing makeup brushes, you just need to tell us which one you need or send us pictures. 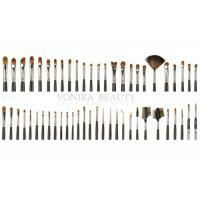 Our mission is to distribute a full line of high quality color cosmetics and professional beauty tools to the global professional beauty industry.Vonira Beauty strives to be the first choice of our customers for color cosmetics and to create lasting relationships with our clients by helping them develop and launch a successful product line. 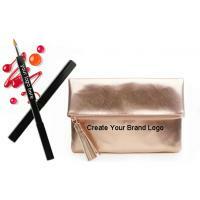 More and more cosmetic brand and makeup artists are having their own private label makeup products line. The first thing is to confirm your budget plan.For example,you want your product to be as quality as ZOEVA,MAC, or Morphe brushes,but you budget is not enough, in this case, you may have to add the budget or lower the quality. Check with our factory department about each product number minimum order is important. Each model has its own MOQ. So before brush customization, you must make general idea on quantity. 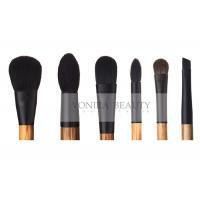 Make clear on brush material(including hair,ferrule and handle), color,size,application and shape. Confirm brush size , color, material of each part. Any color requirements, please also mark it on the artwork.If you do have original samples, be sure to send to us your physical samples so everything will go in right and fast direction. 5th: Choose pouch style and material. Some clients also plan to add one pouch to match for the brushes, if so, you can choose style from us or you can show us your reference pictures , then confirm material of pouch. For special feature of pouch material, if you can send us samples, it will be better. 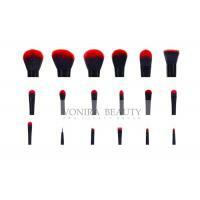 Chanmy Cosmetics is Vonira Beauty Sister Brand Company in Hunan Province. 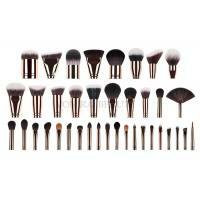 We are a professional global custom private label cosmetic brush manufacturer,makeup brush manufacturers,makeup brush suppliers,makeup brush factory,makeup brush exporters,makeup brush wholesalers,makeup brush whosalers,makeup brush OEM/ODM supplier covering developing, producing and marketing,which specializes in custom makeup brushes which include: Blush brushes, Eyebrow Brushes, Kabuki Brushes, Powder Brushes, lip brushes, eye shadow brushes, Eyeshadow applicators, Sponge Applicators and various professional makeup brush sets,Vonira beauty uses selected raw materials and combines several-decade-year rich brush-hair producing experiences with advanced product producing techniques introduced from Japan and Korea to produce the first class cosmetic and beauty products of women with fashionable design, exquisite workmanship and high quality, enjoying an overwhelming edge over similar products. Taking OEM/ODM as one major lines of our business, we provide many domestic and foreign well-known cosmetic and makeup bands with excellent products depending on our good quality and smooth distribution channel. And we also have our own Brands''VONIRA'',''CHANMY'',''ZEOYONG'',''XIANGDINA'',with a vision to enhance the fame of China women beauty brand all over the world,We utilizes E-commerce(B2B,B2M,Website) as our brand publicizing operation platform,to let you know us and provide you a brand new beauty life! Guiding by the concept of win-win, we not only guarantee the quality but also provide excellent service and innovative ideas by developing brushes and jewelry in accordance with the special style of the cosmetic brand, which receives high appreciation and good reputation in the industry. Sophisticated workmanship, high-tech assembly lines, professional management expertise, experienced staff as well as good professional ethics are presented in CHANMY to make joint efforts with you to achieving mutual development.